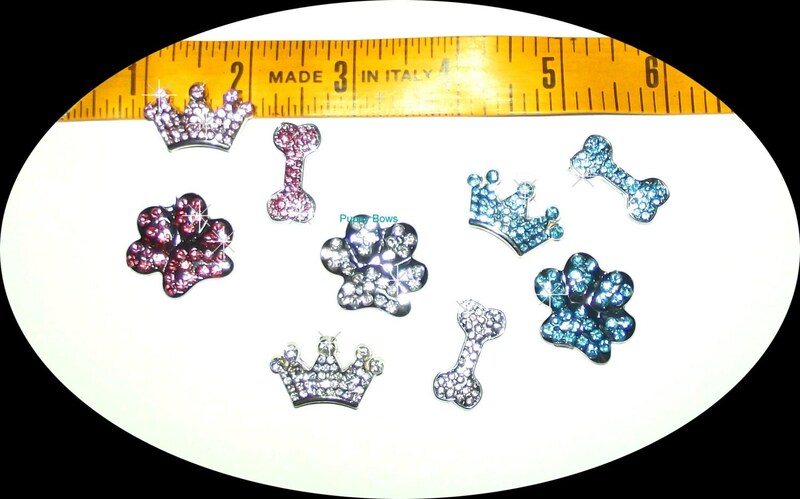 These items were created with a barrette appropriate for small dogs. 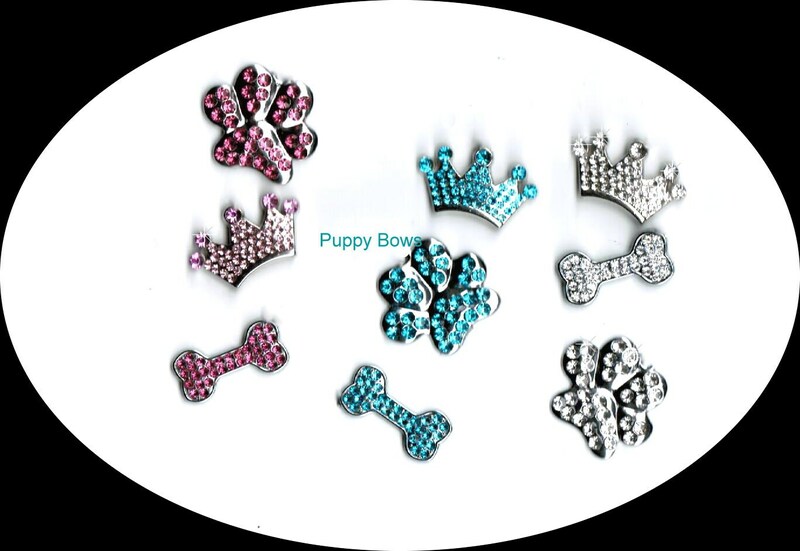 Each item measures about 1" and comes in a 3 piece set (one bone, one paw, one crown) in your choice of Pink, Blue or Crystal. 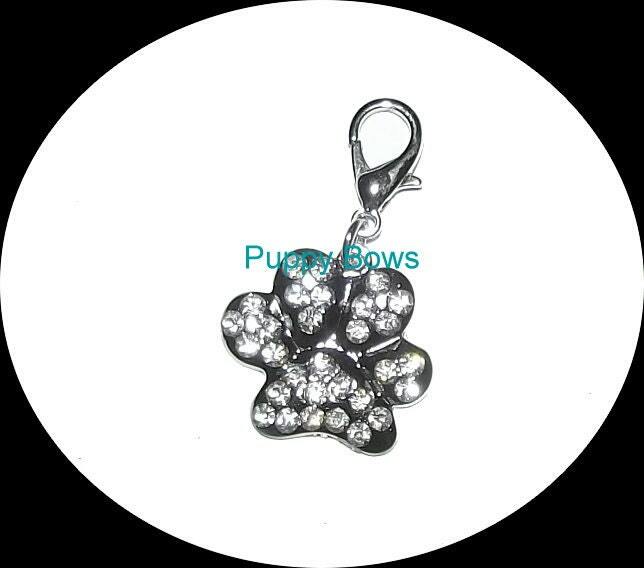 They are lightweight making them particularly suitable for puppies.